Portsmouth Little Theatre’s next production. Friends of Scioto County Developmental Disabilities. The region is filled with nonprofit organizations that put in countless hours of work year-round to make the area a better place. From assisting homeless people to homeless pets, from education to artistic opportunities and everything between, it is that time of year again for many of these organizations to reap the benefits of matched donations, thanks to the staff at the Scioto Foundation. The Scioto Foundation offers many opportunities for community development, from scholarships to watching over endowment funds. They will be matching incoming donations to their registered nonprofit organization accounts this year with the annual Scioto Gives event, set for Oct. 19, 2017. You have 12 hours to make your donation between the hours of 8 a.m. and 8 p.m. Throughout the 12-hour period, they will post how well the nonprofits are doing on Facebook and Twitter. Some of the nonprofit organizations that benefit from donations from Scioto Gives are: The Portsmouth Little Theatre, Boy Scouts of America, The Southern Ohio Museum and Cultural Center, and The Friends of Scioto Developmental Disabilities The Portsmouth Daily Times is highlighting these organizations each Saturday, until the Scioto Gives Collection Day, and asked these organizations how Scioto Gives helps them. Smith added, “Auditions are according to what the play is, although we will bend that to whoever shows up. We always encourage new faces, there is a core of actors that perform regularly, mostly board members because we are there. I would love, love to have new people and faces, not just on stage, but backstage too. Not everybody is excited to have the spotlight on them and we do want new actors, but there are lots of roles to play in the theatre. There are lights and sounds to be run, costumes and set designs, and it takes a lot of people to put on a show. The Southern Ohio Museum and Cultural Center first opened its galleries and programs to the public in 1979. SOMACC boasts five galleries and four permanent collections of important cultural heritage, as well as an auditorium, learning center, and a nearby studio for training in performing arts. The Friends of Scioto Developmental Disabilities is a not for profit 5013C and they operate to provide funding for services that are not provided through other means. specific types of situations for individual families where they may need something to live more independently or more integrated into the community. “In order for them to do that, sometimes there’s special things needed so that is not covered by other services or other means. We have people that donate. We have a board that meets and then makes decisions on a request on whether or not to approve a request that is put in, they base it on if it is aligned with our mission, which is to help people live lives in the community as much as possible and to live a self directed life. It provides supplemental funding for various types, it could be anything. It is not a grant it is simply a donation gift (monetary) that we give to people, if they are eligible for the Scioto County Board of Developmental Disabilities programs if we know through the application process that there is no other way for them to obtain the funding they need for the item or the service or whatever it may be. Scioto Gives helps our program there’s a lot of PR and it gets our name out there we have actually been able to give donations because we are listed with Scioto Gives. I am very very appreciative of because its just another avenue that we have to get donations into that fund that go directly to individuals that we serve through our Friends program. They kind of act as a vehicle for people to be able to make donations.” Julie Monroe, Superintendent of the Scioto County Developmental Disabilities program. 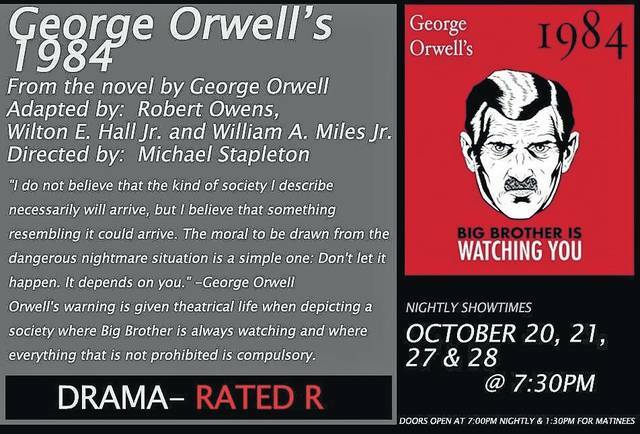 https://www.portsmouth-dailytimes.com/wp-content/uploads/sites/28/2017/09/web1_image-21-.jpgPortsmouth Little Theatre’s next production. 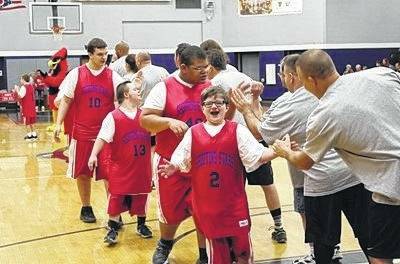 https://www.portsmouth-dailytimes.com/wp-content/uploads/sites/28/2017/09/web1_dd.jpgFriends of Scioto County Developmental Disabilities.